You Look Yummy! by Tatsuya Miyanishi. A Tyrannosaurus Series Book. Review: ROOAARRR!!!! YOU LOOK YUMMY! You Look Yummy! by Tatsuya Miyanishi is about a baby Ankylosaurus who thinks that a Tyrannosaurus is his daddy. Even though that the Tyrannosaurs knows that he is not his dad, they learn how to love each other. The baby Ankylosaurus wants to be like his dad, but the Tyrannosaurus knows that will never happen. But will Ankylosaurus know what Tyrannosaurus will do next??? I think that this book is made for kids from ages 4-6, but I recommend You Look Yummy! to all ages. There are quite a lot of pictures and not many words on a page; also, the words are not very hard, little children can easily figure out what they mean. And the only negative thing about this book is the setting, where it does not enhance any part of the story. The backgrounds are colored in bright colors (orange, red, yellow, etc.) 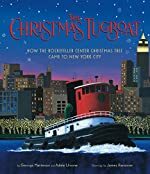 that will capture the attention of young children and have them wanting to look longer before moving on to the rest of the book. 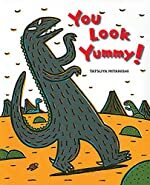 We would like to thank Museyon Books for providing a copy of You Look Yummy! for this review. Have you read You Look Yummy!? How would you rate it?